Halloween is just a couple of weeks away and I’m already in the spirit! Unfortunately, this year I wasn’t able to decorate. I am, however, still enjoying taking a look at all the Halloween Decorations in stores. If you remember, last year I decorated small bar cart area at home. It was a small touch but just enough to make things feel a little more festive. 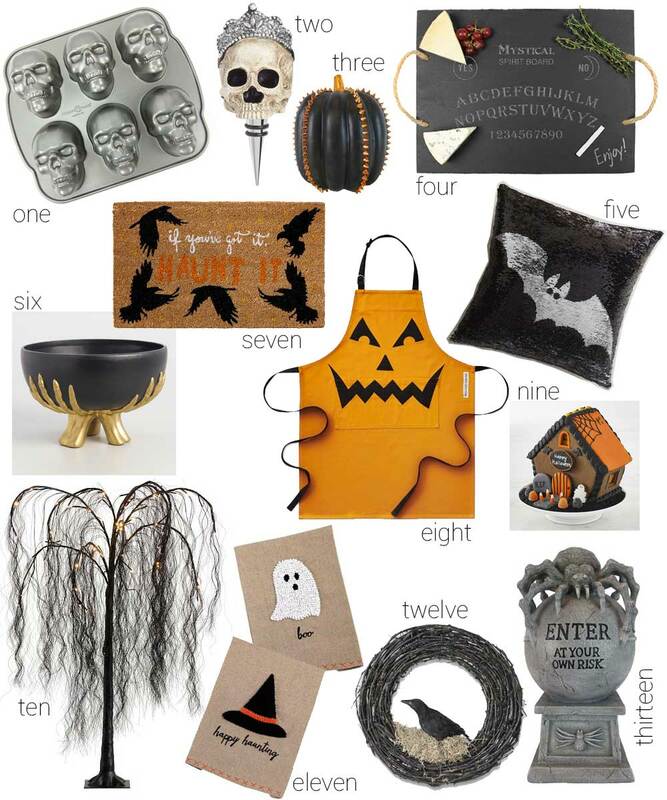 I stopped by Pottery Barn the other day and their Halloween tablescapes were so cute that I thought I would share some Halloween finds to get you in the mood as well. If you are looking for some affordable options, be sure to check out Target and Home Goods as well. I always find some fun pieces there.